Three bedroom semi-detached house which has been completely refurbished so offered in a move in ready condition. Internally the property benefits from three double bedrooms, modern bathroom, separate downstairs w/c, large lounge and spacious conservatory to the rear. Externally there is a good sized garden overlooking the a local farm. The house benefits from a south facing garden. Abridge is located within reach of Theydon Bois, Chigwell or Debden Central Line Stations by car which offer easy access into London. Also the M25 (junction 26) and M11 (Junction 5 – Southbound) are within easy reach. Further local amenities include Nuffield Health Gym and Budgens is within a 30 second walk away. The property also benefits from being within close proximity of a local cafe, deli, restaurant and pub. The area offers a range of access to primary and secondary schools, both private and state. 1: They are not authorised to make or give any representations or warranties in relation to the property either here or elsewhere, either on their own behalf or on behalf of their client or otherwise. They assume no responsibility for any statement that may be made in these particulars. These particulars do not form part of any offer or contract and must not be relied upon as statements or representations of fact. 2: Any areas, measurements or distances are approximate. The text, photographs and plans are for guidance only and are not necessarily comprehensive. 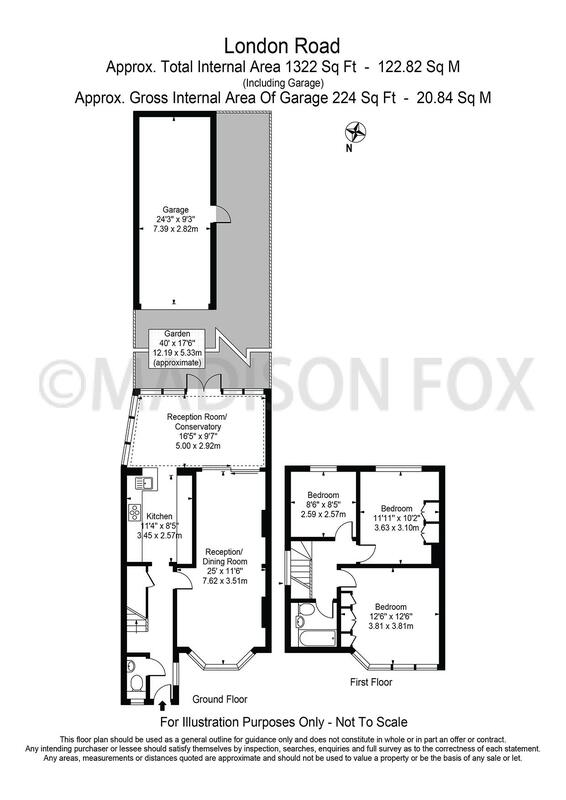 It should not be assumed that the property has all necessary planning, building regulation or other consents and Madison Fox have not tested any services, equipment or facilities. Tenants must satisfy themselves by inspection or otherwise.